The United States Department of Agriculture has commissioned Sperry Van Ness/Interstate Auction to auction three properties located throughout Michigan. The Evergreen Trail Apartments, Memphis Manor Apartments and a 2.21 +/- acre vacant Multi-Family parcel of land will be auctioned online beginning on March 13th and concluding on March 20th, 2014. The Evergreen Trail Apartments, a 48-unit complex is located in Ludington, Michigan and includes 32 “ 1 bedroom, 1 bath units and 16 “ 2 bedroom, 1 bath units in three (3) two story buildings. The buildings are situated on 5.351 +/- acres and features 94 parking spaces. The Memphis Manor Apartments features 32 units and is located in Memphis, Michigan on 3.46 +/- acres. This complex has two “ 16 unit, 2 story buildings with 8 “ 1 bedroom, 1 bath units and 8 “ 2 bedroom 1 bath units in each building with a total of 22,848 sq ft. and 56 parking spaces. Also, being auctioned is a 2.21 +/- acre parcel of land located at 7081 Huron St. in Port Sanilac, Michigan. The land features 320 frontage on Huron Street and is zoned for apartments. 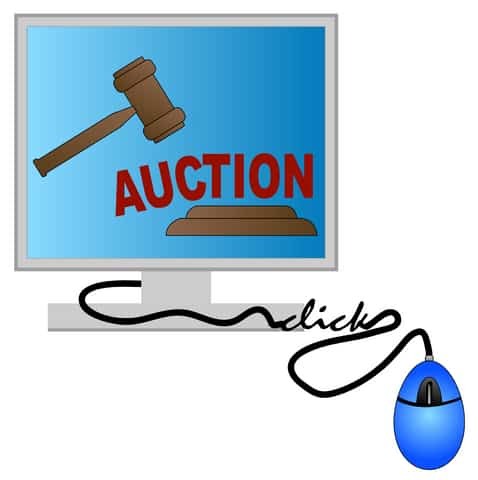 Interested bidders should visit www.MichiganUSDAapts.com for property information, online auction terms and conditions, bidding procedures and online bidder registration. Winning bidders will be required to submit a ten percent deposit along with a signed purchase agreement within 48 hours of the conclusion of bidding. A ten percent Buyers Premium will be added to the final bid. Michigan Broker Auctioneer Jim Vander Veen of Platinum Bid Auctions has joined forces with John Johnson, CCIM and David E. Gilmore, CCIM of Sperry Van Ness/Interstate to handle the online event. Founded in 1987, Sperry Van Ness is one of the largest and fastest-growing commercial real estate brokerage firms in the industry, with more than 850 advisors in over 150 locations.